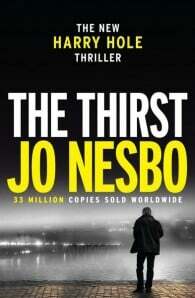 Harry Hole is back! A blistering new thriller from the number 1 bestselling author of THE SNOWMANand POLICE. With his eight internationally acclaimed crime novels featuring Detective Harry Hole, Jo Nesbø has achieved an unparalleled success both in his native country Norway and abroad, winning the hearts of critics, booksellers and readers alike. Translated into more than forty languages, awarded a whole range of awards and boasting record-breaking sales, Nesbø has been lavishly praised by international critics for broadening the scope of the contemporary crime novel, and is today regarded as one the best crime writers of our time.